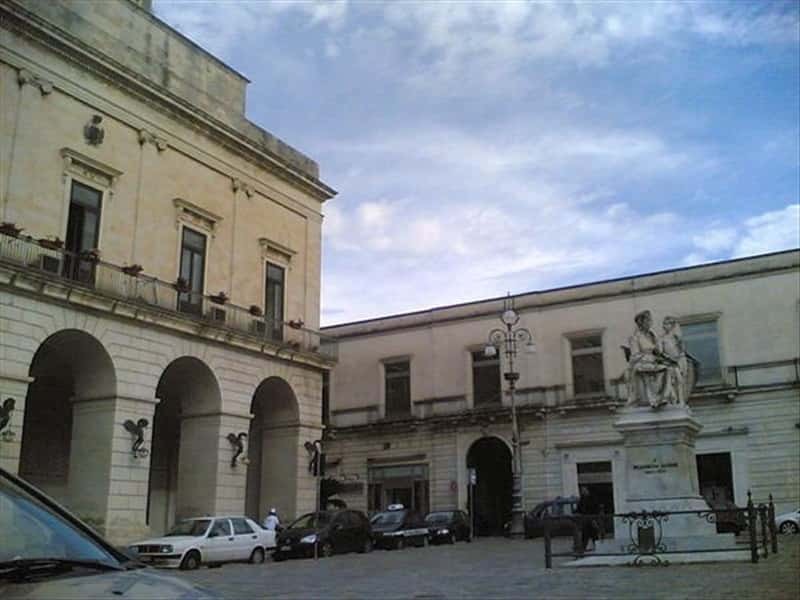 Maglie is a city of 15,000 inhabitants located in the central part of the southern province of Lecce. It is a reference center for all other surrounding localities of Capo di Leuca and enjoys a central location for the Regional transport lines. Maglie lies on a plain surrounded by small hills where traces of human settlements are evidenced since the Palaeolithic Ages. In the countryside there are preserved several megaliths that date back to the Bronze ages. The oldest documented settlement dates back to the period known as the second Byzantine colonization, between the IX and X centuries. Barons of Maglie were the Families of Lubello, of Filomarino della Torre and of Capece Castriota. The period of greatest development for the city, which enriched its inhabitants, was at the end of the XIX century. when numerous trade and industry plants were built (weaving, spinning, embroidery (with the reproduction of the famous "punto Maglie" - a traditional stitch), mills, pasta factories, oil mills etc..). This town web page has been visited 19,247 times.